in the classroom throughout the school year. I do not accept late work unless it is due to an excused absence. I do not round quarter or semester grades. Continuously chewing gum in class will result in detention. Not having covered textbooks will result in detention. Coming to class unprepared and without a textbook or Silent Sustained Reading book will result in detention. Students who violate the school dress code policy will be referred to the Dean. Any student engaged in cheating/plagiarizing will be given a zero for the assignment and referred to the Dean. Students who behave disrespectfully, or detract from the learning environment, will be sent to the Dean’s office with a referral. Reminder: Students who are assigned detention have one week to serve. Students who fail to complete detention within the given time frame will be given In-School Suspension (ISS) by the Dean of Students. A computerized grading program is used to record student grades in the following four categories: Homework/Class work, Quizzes, Unit Exams, and Writing. Each of these categories constitutes 25% of the final quarter grade. Electronic grade reports are sent home most Fridays and hard-copies of the reports are usually distributed to students every two weeks (on a Monday). The hard-copy progress report needs to be signed by a parent or guardian and returned to me by the following Friday for homework credit. Parents also have access to all student grades via the school's website. Semester grades are calculated by the English Department as follows: Quarter A (40%) + Quarter B (40%) + Final Exam (20%) = Total Semester Grade. The first quarter will end on October 11and report cards will be sent home on October 18. The second quarter will end on December 20 and first semester grades will be mailed to parents on January 10. The third quarter ends on March 7 with report cards being sent home on March 14. Finally, the fourth quarter will end on May 29 (the last day of school) and second semester grades will be mailed on June 6. Plagiarism is presenting someone else’s words or ideas as your own. Quoting or paraphrasing material without citing the sources of that material. Sources can include Web sites, magazines, newspapers, textbooks, journals, TV and radio programs, movies and videos, photographs and drawings, charts and graphs; any information or ideas that are not your own. Quoting a source without using quotation marks—even if you do cite it. Citing sources you didn’t use. Stockdale High School has a “zero-tolerance” policy for plagiarism. Students caught engaging in this form of academic dishonesty will receive a zero on the assignment and be referred to the Dean of Students for further disciplinary action. Please sign below and return this form by . 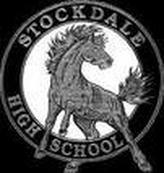 A copy of the syllabus, along with further information about class is available on my Stockdale High School webpage (doylesclass.com). Your signature indicates that you have read and understood the English 9 Class Syllabus for the 2013-2014 school year, and the Student Guide to Avoiding Plagiarism.